Offering a modern spin on the traditional Japanese blade, the Brass Menuki Samurai Wakizashi makes an excellent collectible weapon to add to your collection. This functional oriental sword possesses a striking appearance. 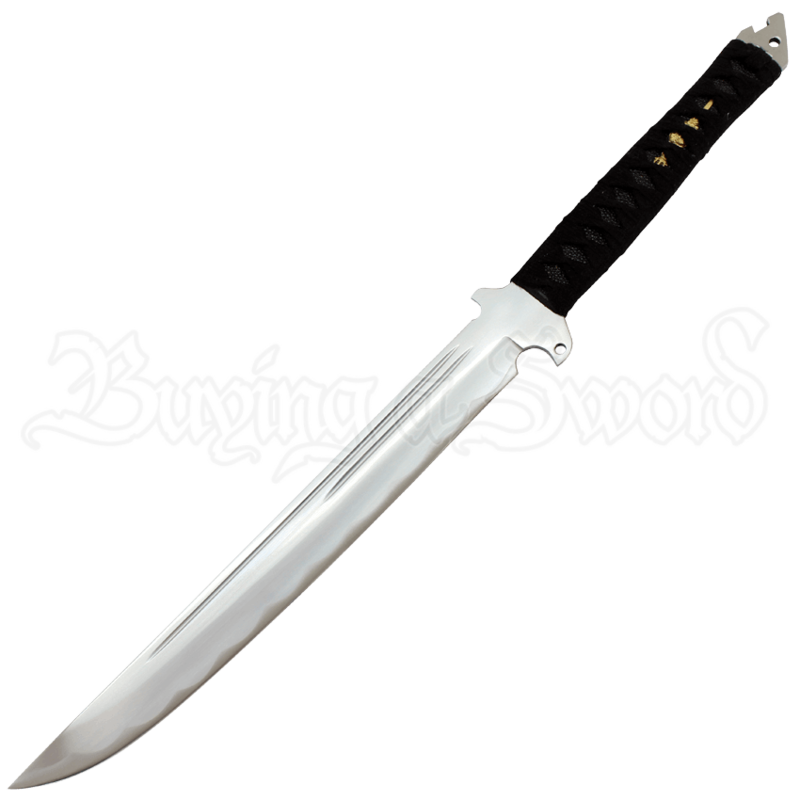 The high carbon steel sword features a great satin finish. The Japanese wakizashi has an imitation ray skin handle wrapped with black cord that secures the brass menuki in place. The hand-forged short sword comes with a black leather sheath for carrying and storing the blade safely. If you enjoy the look of the Brass Menuki Samurai Wakizashi, then be sure to also check out the matching Brass Menuki Samurai Tanto (MC-RY-3205S)!